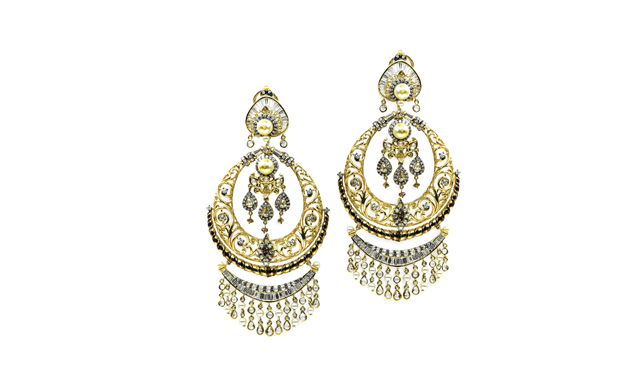 Emulating a prominent era, the Jharokha collection reflects grandiose of the Mughal period. Sharp lines in contrast with undulating curves and rich colours create a bold new aesthetic making the timeless era, a celebration of the exotic. A collection reminiscing the splendor of an era gone by. 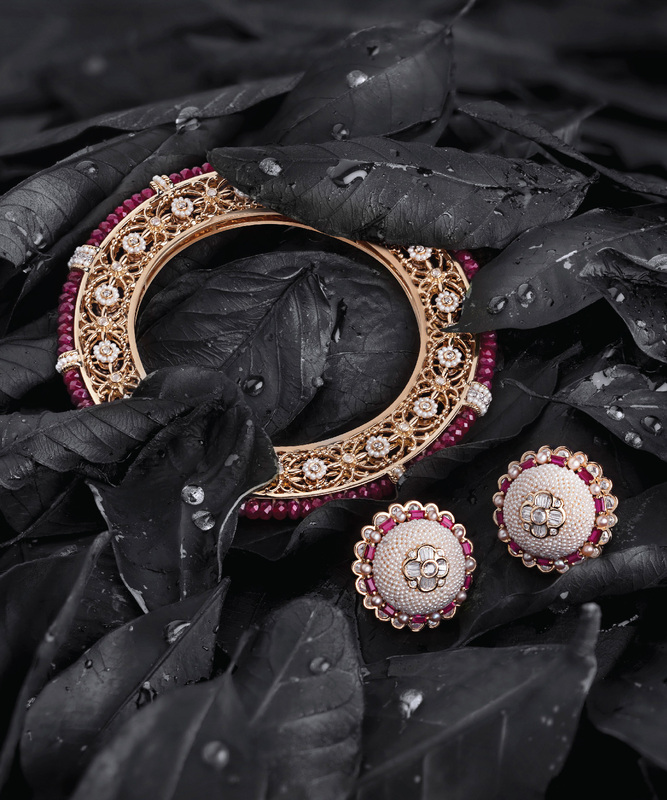 Round brilliant cut, rose cut and baguette diamonds, along with rubies, emeralds and pearls accentuate the beauty in each jewel from Jharokha collection. Signature motifs and contours are celebrated with graceful bold compositions. 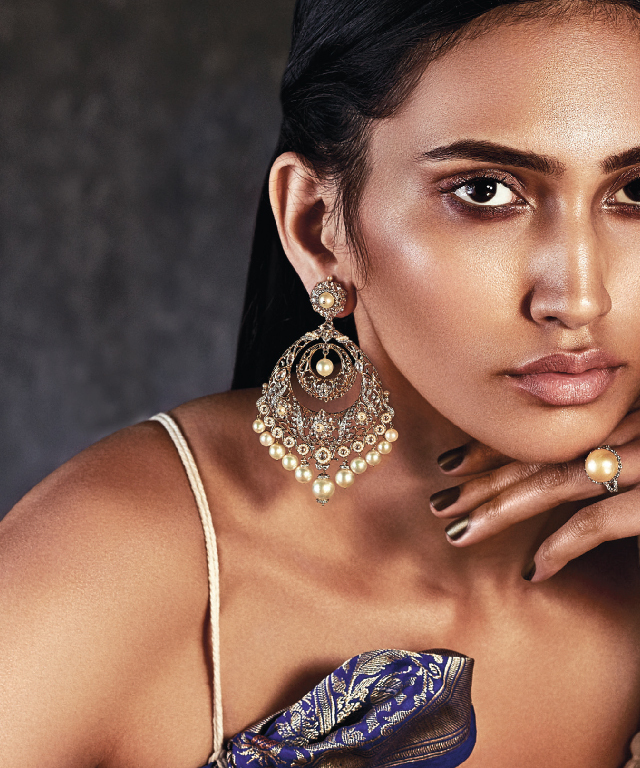 Crafted in 18kt gold, these Chaandbalis in 72 carats of Akoya and cultured pearls inspire a unique combination of round brilliant cut and rose cut diamonds adding up to 10 carats, paired with a beautiful attire by Payal Singhal. 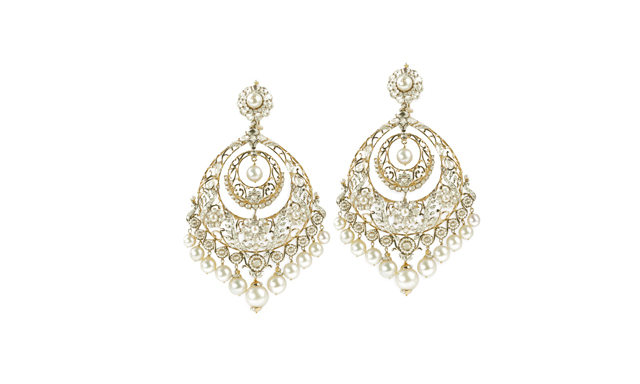 5.83 carats of round brilliant cut and rose cut diamonds celebrate the graceful curves in these earrings with fine Japanese Keshi and cultured pearls highlighting the look. 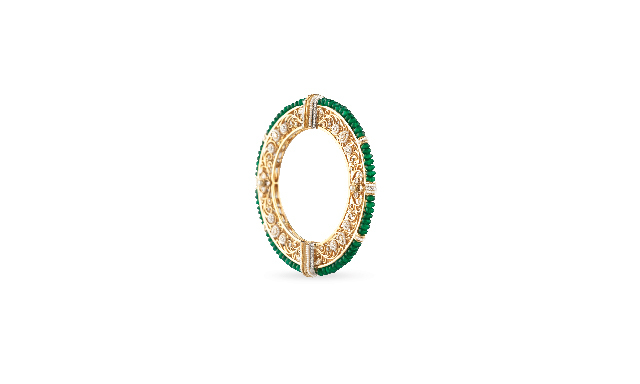 Zambian emerald beads with fine Japanese Keshi pearls adds to the majestic elegance of this bangle with 3.25 carats of round brilliant cut and rose cut diamonds emphasizing the precision of its craftmanship. 18kt gold intertwines 13 carats of baguettes, round brilliant cut and rose cut diamonds while beautifully accentuating Japanese Keshi pearls. Floral motifs elegantly curve around delicate Japenese Keshi pearls while Burmese ruby beads encircle round brilliant cut and rose cut diamonds. 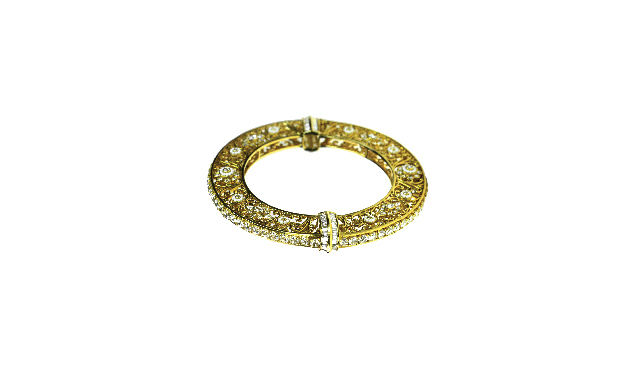 This classic bangle from the Jharokha collection pairs beautifully with earrings from the Taantvi collection.